Gummy Bear Vitamins: Are They Healthy for Your Teeth? - Dr. G.S. Tatra Inc.
Gummy bears are a popular candy among children but often restricted by parents. However, gummy bear vitamins have made its way to healthcare section and become a favourite for children. Children can be picky-eaters and most of the time it’s hard for them to take a whole tablet or liquid vitamin. Thus, the evolution of gummy bear vitamins. And because gummy bear vitamins are chewy and toothsome, it’s a smart way to give your children a dose of their vitamins. As a parent, you often restrict your kid’s consumption of sweet stuff – especially if it’s this sticky, sugary food. But how about if this sweet, chewy gummy bear contains vitamins? Is it really healthy? Is it something parents should be happy about? Gummy bear vitamins, which looks like a regular sweet treat for kids, are the easiest way to have your child take their daily dose of vitamins rather than the regular tablet or pill. It’s easier for them to swallow gummy bear vitamins ­compared to hard tablets– which is why even adults enjoy these sweet vitamin treats. 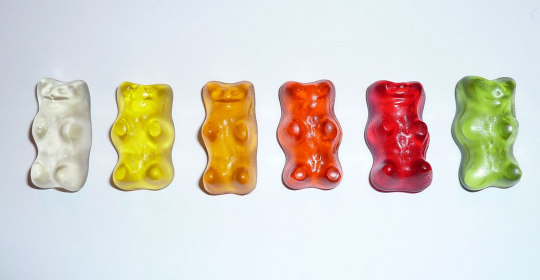 There are several flavours of gummy bear vitamins to accommodate childrens’ preferences. Children often tend to take more than the required dosage since it appears like a regular sweet treat for them. Make sure to keep it in storage away from children’s reach. The gummy and sticky structure of gummy bears can be damaging to your child’s teeth. It is best to let your child drink a lot of water and brush their teeth after consuming their daily dose of gummy bear vitamins. Gummy bear vitamins usually have lower percentages of nutrients compared to non-gummy bear pills. Reading the labels will help you decide which form of vitamins you will give to your child. 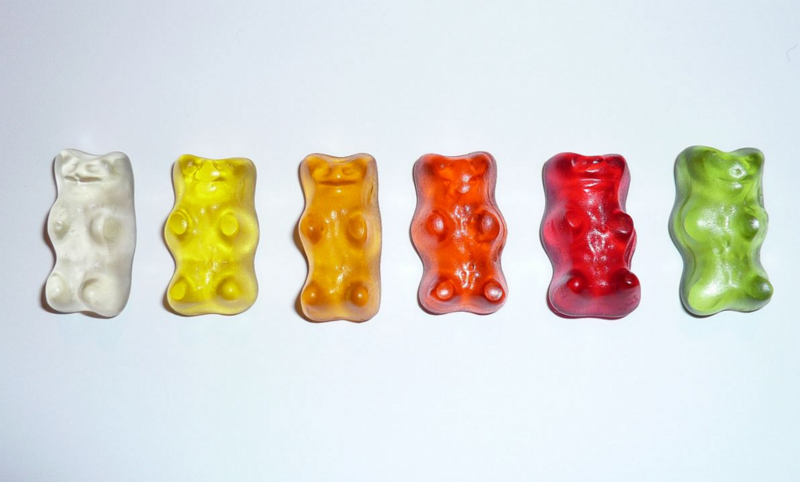 Gummy bear vitamins contain more sugar content than regular tablets. Bacteria found in the mouth takes its nutrition by digesting sugar from the food you eat and produces tooth-destructive acid as its by-product. Therefore, parents should encourage their child drink water and brush their teeth after consuming gummy bear vitamins. After brushing, make certain that there are no sticky bits left in between teeth. This reminder is not only for kids, but to adults who also enjoy gummy bear vitamins! Follow and like Dr. Sunny Tatra on Twitter, Facebook, Instagram and Google+ to stay up to date with the latest news and tips. To read client reviews or to share your own experience, visit our RateMDs and Yelp pages. To book an appointment with Dr. Sunny Tatra and his team, phone +1 250 590 0166, email, or fill out the online appointment form!